Please contact ColeS@ou.org for more information. Where? Shaarei Shomayim - 470 Glencarin Ave.
Drop off will be 4:00pm at Shaarei Shomyim on Friday. 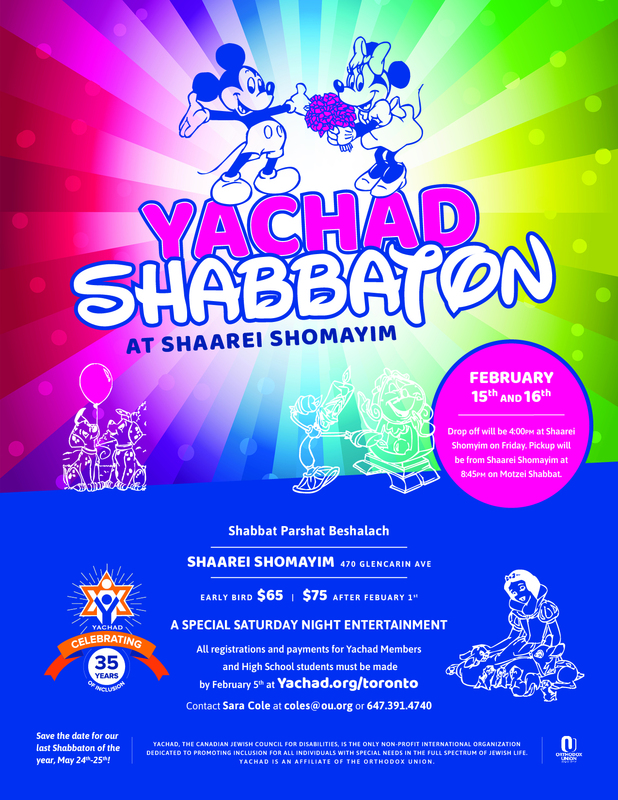 Pickup will be from Shaarei Shomayim at 8:45pm on Motzei Shabbat.